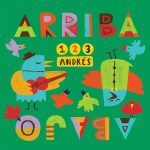 Latin GRAMMY Award nominated artist 123 Andrés releases his second album of sing-along learning songs for kids in English and Spanish: Arriba Abajo. 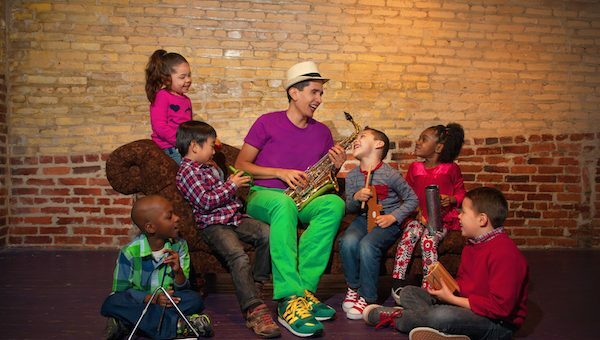 The bilingual learning nexus Spanish Playground says Arriba Abajo features “rich layers of music and language.” The songs reflect Dr. Andrés Salguero’s expertise as an educator who also has a PhD in music. A beta testing team of families and teachers are contributing to a new 123 Andrés r Learning Guide, which will be released this summer. Visit www.123andres.com for updates. The latest are a live action performance with kids of “Cosquillas” (Tickles), and an animated music video for “Dame Una A” (Give Me an A). Catch 123 Andrés’ new music videos on his YouTube channel.